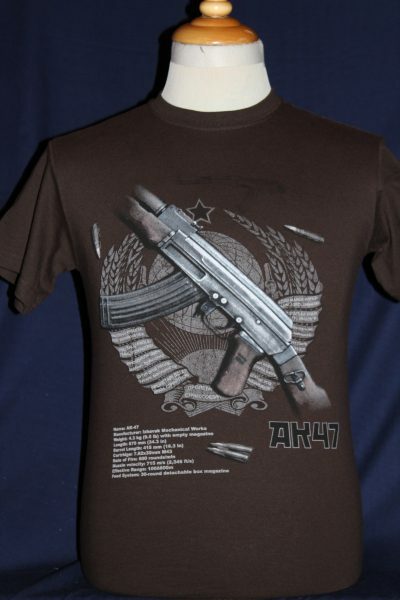 The Soviet AK47 Assault Rifle T-shirt is a single sided print in Dark Brown. 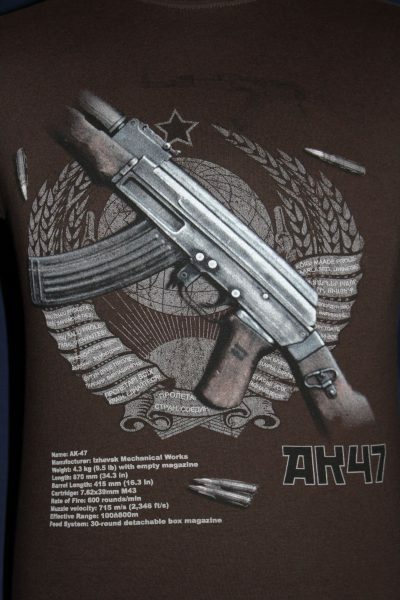 Kalashnikov designed AK47 with statistics, magazine and ammo on the front. The background is the seal for the Red Army (USSR). One of the most recognized automatic weapons used by the Soviet Union/Russia and Eastern block for the last 70 years.